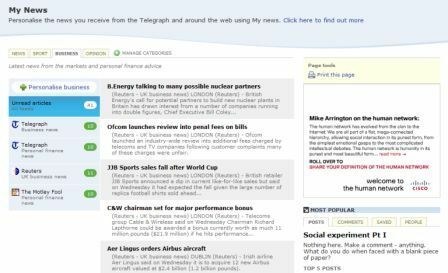 The newspaper recently launched MyTelegraph, which gives its readers the chance to set up and personalise their own blogs, and MyNews is the latest addition to this service. But the newspaper has chosen the feeds for its readers, including news from the BBC, The Guardian and Reuters among others. “Purists will argue that this goes against the spirit of RSS, which is about choosing whatever you want. Richmond also commented on the number of news sites that have either broken feeds or none at all. The paper also plans to add a customisable category, allowing readers to select any feed they want to. This is another interesting move from the paper; after being the first in the UK to launch blogs for its readers, it is now the first to launch an RSS reader. It will be interesting to see how other newspapers react to these innovations. Providing customers with plenty of information during the buying process can help convert more browsers to buyers, according to a new survey of US web users. Harris Interactive’s Online Retail Report (pdf) surveyed 2,873 US adults, finding that 48% of respondents have increased their online shopping habits.